ENJOY AN UPBEAT & MODERN LIFESTYLE? Then come live in Atria! This lovely (1bed/1bath) corner unit condo features, large balcony, Granite Countertops, Kohler fixtures, Stainless Steal appliances, walk-in closet in the master bedroom, space-saving stacked front loading washer & dryer, & the latest flat-top range to make cooking an absolute pleasure. 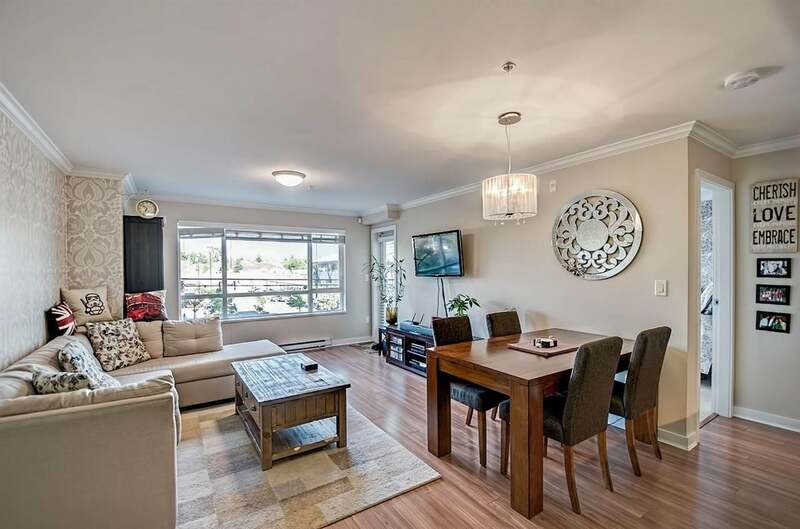 Central location with both levels of schools nearby, parks, transit and grocery stores (Safeway, Save-on Foods and Real Canadian Superstore). Nearby coffee shops include Second Cup and Starbucks. There are over 35 restaurants to enjoy all within 15 minutes walking distance. Take pleasure in utilizing all the facilities Atria offers, including a gym, party lounge, amenity room and more! Listing Brokerage RE/MAX COLONIAL PACIFIC REALTY LTD.